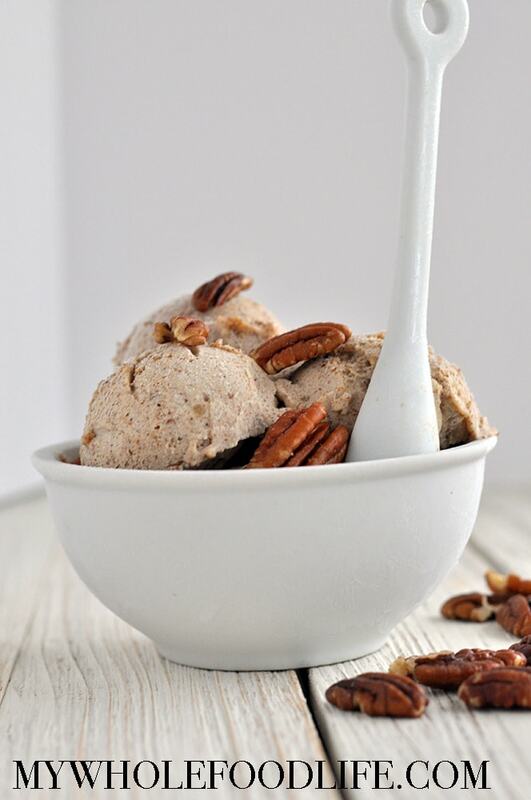 Pecan Caramel Nice Cream. 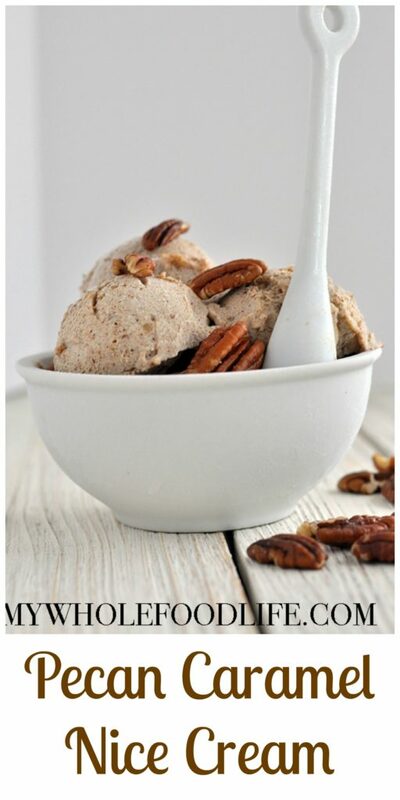 So, a long time ago, I created a pecan caramel ice cream recipe. The original one called for the use of an ice cream maker and also had a coconut milk base. I wanted to make a nice cream version that didn’t require an ice cream maker at all. The result was delicious!! To make this recipe, all you need is 3 simple ingredients. I made the pecan butter on the spot. 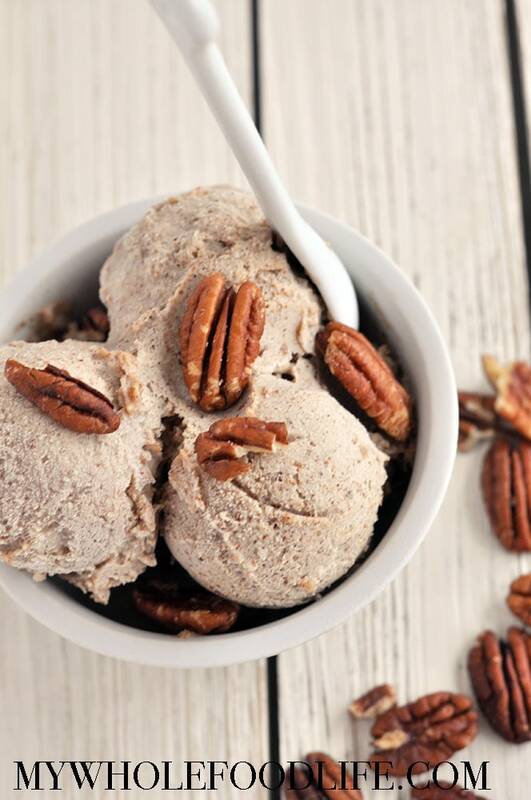 All you need to do is blend the pecans for less than a minute. Super easy!! Looking for more nice cream recipes? Drain the dates and place them in a small blender. Blend into a paste. Set aside. Add the pecans into the blender. Blend into butter. It should take less than a minute. In a food processor, add the frozen sliced bananas. Blend for a minute to break them up. Then add the pecan butter and blend for another minute. Lastly, add the date paste and pulse a few times so it gets evenly dispersed. This is the caramel part of the recipe. This produces a soft-serve ice cream consistency. If you prefer a harder, scoopable ice cream, transfer to a freezer safe container and freeze for about 30 minutes. Enjoy!! ohhh, this sounds sooooo good. It will be 108F here in the Pacific Northwest, and this will be VERY welcome for a dessert. Thanks Laura! I hope you enjoy it! This sounds amazing. Healthy and so quick!